MSC Cruises is the world’s largest privately-owned cruise company and the number one cruise line in Europe, South America, South Africa and the Gulf. A game-changer in the world of cruises, the Company has achieved 800% growth in its first ten years, building a global reputation in the industry and one of the youngest cruise fleets at sea. 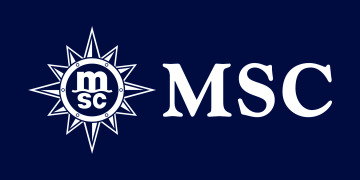 MSC Cruises is headquartered in Geneva, Switzerland, and is part of MSC Group, the Swiss-based leading shipping and logistics conglomerate. The MSC Cruises fleet currently comprises 16 ultra-modern, highly innovative and elegantly designed ships, offering an unparalleled holiday experience with always delicious and authentic food, award-winning entertainment, plenty of relaxation, comfortable accommodation, as well as impeccable service and expertise. Under its ambitious industry-unprecedented €13.6 billion investment plan, the fleet is set to expand to 29 cruise ships by 2027. To date, MSC Cruises has designed six new highly-innovative ship classes, all prototypes that push the boundaries of marine architecture and design. The Company also recently announced that it will build an additional luxury class of cruise ships, with yet more ground-breaking options for guest comfort. MSC Cruises feels a deep responsibility towards the physical and human environments in which it operates and its ships are fitted with the latest environmental features and maritime technology. The Company operates with the greatest respect for the world’s oceans and is on an ongoing journey to further develop innovative ways of lowering the environmental impact of its cruise passages, from improving air quality from ship emissions, to advanced wastewater treatment, to comprehensive and coherent waste and garbage management. MSC Cruises’ holiday experiences are sold across the globe through a distribution network in 81 countries. The Company employs over 30,500 people worldwide, both ashore and on board its ships.